Amongst a bunch of great July shows, ArtFagCity stopped by NAPOLEON and found our current exhibition to their liking. Napoleon hosts a solo show of work by photographer Marc Blumthal, who also appeared in the Philadelphia Photo Arts Center exhibition. There, his dissecting-the-image photo collages struck me as a series of mental exercises, but not in the obligatory image-theory-Rx sort of way. Mundane family snapshots contain silhouettes of a baby or a figure, replaced by piecemeal bits of background, as though their absence leaves a slightly-jumbled ghost. His concurrent solo show at Napoleon in the Rollins Building is equally good. 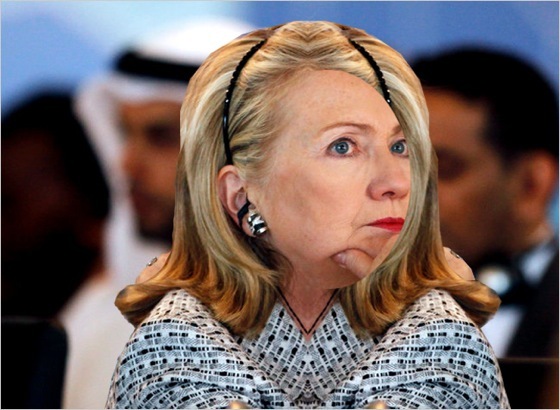 Minor alterations use a Baldessarian logic: “Unilateral Health Care” mirrors Hillary Clinton’s hairline and body, while preserving her focused expression, so that she appears to be turning against herself. Other figures are blurred out with color halftoning. An enormous black circle blows a massive hole in an outdoor portrait photo. The mix of mechanical and psychedelic puts the viewer on edge. Yay, Marc! We couldn’t be more proud!